Researching those who chose to fight for the British and emigrate to Trinidad in order to be free. I was wondering if you could help identify the parents of my five-times great-grandfather Ezekiel Loney, who was among the “Merikins” (formerly enslaved African-American soldiers who fought for the British) who settled in Trinidad. Ezekiel (born 1787) is one of three enslaved men from the Corotoman Plantation in Virginia who fled in April 1814. Several days later they guided the British back to free their families and friends. Ezekiel and his sister Fanny (born 1771) left for Trinidad with Ezekiel’s wife, Nelly Mars, and 2-year-old Chena, plus five of Fanny’s seven children. Fanny’s other two children stayed back with her husband, Charles. Older brother Sam Loney (born in the 1760s) and his wife, Jenny Cook (Great Jenny), stayed back, while their two young kids Nancy and Gabriel left. I think Jenny Cook may have been removed to another plantation in Pennsylvania with her other children after the fleeing. Your unique “Merikin” heritage originates from the War of 1812. According to a website of the Trinidad and Tobago National Library and Information System Authority, the British military invited escaped American slaves from mainly coastal Virginia, Maryland and Georgia to fight on their side in exchange for freedom and land in the West Indies. According to Steve Vogel’s book Through the Perilous Fight: Six Weeks That Saved the Nation, Sgt. Ezekiel Loney was among the Merikins, Colonial Marines who arrived in Trinidad in 1816 after fighting in Washington, D.C., and Baltimore. Vogel’s book will be a rich resource of information for you, as will Alan Taylor’s The Internal Enemy: Slavery and War in Virginia, 1772-1832, which includes a detailed account of the events leading up to Ezekiel’s flight from Corotoman and his return to liberate family members. From Taylor’s book you can determine that in 1814, Corotoman Plantation was owned by St. George Tucker and that his son-in-law, Joseph C. Campbell, pushed the slaves to work harder toward a greater surplus. The harsh conditions drove some of the enslaved to resist and, ultimately, escape. An appendix of this book even outlines familial relationships among the Corotoman refugees, which will likely be of particular interest to your research. Ezekiel, Fanny and Ezekiel’s wife, “Nelly Marx,” are listed among the escapees; “Old Sam” and his wife, Jenny, are noted as being among those who stayed behind. What Were Ezekiel Loney’s Origins? Your best bet for finding the names of Ezekiel’s parents is to look for records of their enslavers. In 1791 St. George Tucker, a prominent judge and legal scholar in the early years of the U.S., married Lelia Skipwith Carter (the widow of George Carter), who possessed the Corotoman Plantation. We conducted a search of the National Archives catalog for the term “Corotoman,” which returned several National Register of Historic Places forms for areas associated with the Corotoman Plantation and the Carter family, particularly Robert Carter. It is likely that he was an ancestor of George Carter, who left the Corotoman Plantation to his widow, Lelia Skipwith Carter, prior to her marriage to St. George Tucker. Locating probate records or other papers for George Carter will likely be crucial to your search for Ezekiel Loney’s parents. According to Phillip Hamilton’s book The Making and Unmaking of a Revolutionary Family: The Tuckers of Virginia, 1752-1830, Lelia Skipwith Carter was a 25-year-old widow when she married St. George Tucker in 1791. This means that George Carter likely died only shortly before this date, since she was so young. Probate and land records for Lancaster County, Va., are available on microfilm through the Family History Library, and you could search for George Carter just prior to 1790 to see if you can locate papers for his estate that might include names of enslaved people. Searching local and state archives may also help, since the Corotoman Plantation was so large and the Carter and Tucker families were prominent in Virginia. There is a collection of Carter Family Papers, 1667-1862 at the College of William and Mary that may also contain valuable information about those enslaved by the Carter family. Searching the Virginia Heritage database of manuscript and archival collections for “Corotoman” also returned several collections that contain records of the estate that might prove valuable. A search of the database for “Corotoman” and “slave” produced several records that directly mention those enslaved at the Corotoman Plantation. Likewise, you could search for probate, land and account records for St. George Tucker to see if they include information about the members of the Loney family who remained at Corotoman. St. George Tucker died Nov. 10, 1827, at Warminster, Nelson County, Va. Probate records for Nelson County are also available to search through the Family History Library, and since Tucker died during slavery, other members of the Loney family who remained at Corotoman may be mentioned in the papers for his estate. There are also manuscript collections specific to St. George Tucker that may prove useful, such as the St. George Tucker Collection, 1771-1821 at the John D. Rockefeller Jr. Library. What Happened to Sam and Gabriel Loney? 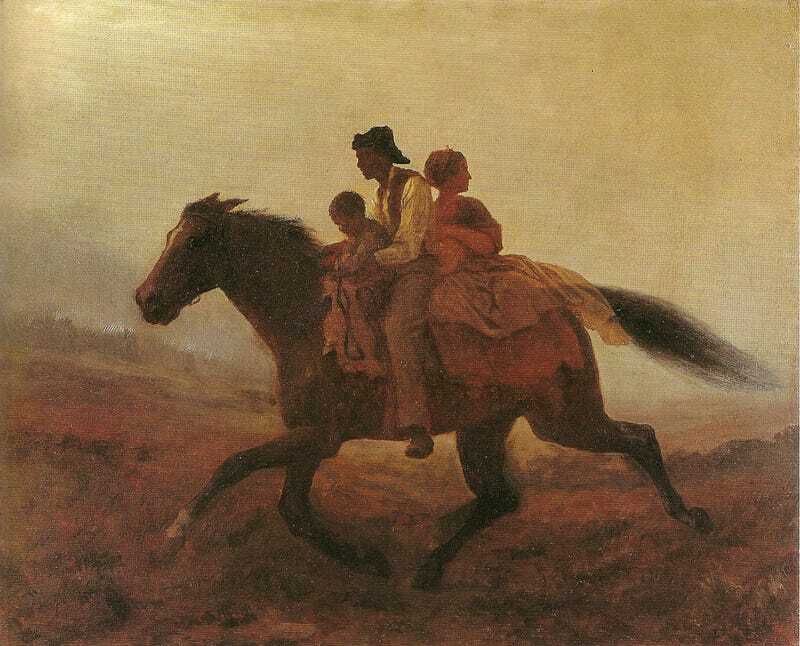 In locating descendants of Sam Loney and Gabriel Loney, you will want to compare any of the information you can find in the records for the slave owners with information on individuals with the Loney surname following emancipation. Although we did not locate Old Sam’s son Gabriel Loney, a search of the 1870 U.S. census, the first federal census that recorded former slaves by name, reveals a few individuals with the surname Loney born between 1800 and 1814 who were residing in Virginia. These individuals would have been alive when your Ezekiel Loney fled in 1814, and they may be connected to your family. There was also a free black family with the Loney name recorded in Richmond, Henrico, Va., in the 1850 U.S. census and again in the 1860 U.S. census, which could indicate that some members of the family were freed prior to emancipation. Searching for additional records from both those who owned the Corotoman Plantation and black families with the Loney name in Virginia may help you make a connection to your family and reveal more information about Ezekiel Loney’s parents. Finally, it appears that a number of Ezekiel’s descendants have celebrated his legacy publicly. Vogel’s book describes a 2009 ceremony by descendants of Ezekiel who had traveled from Trinidad to Tangier Island in the Chesapeake Bay to honor him. Tina Dunkley, curator emeritus of Clark Atlanta University Art Galleries, who says she is descended from Ezekiel, exhibited an art series last year in John’s Creek, Ga., called Sanctuary for the Merikans. Perhaps one of these individuals can help you find out what happened to Sam Loney, his son Gabriel and their descendants.